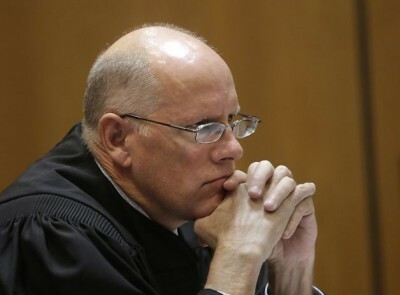 California Superior Court Judge Michael Kenny dealt two setbacks to high speed rail yesterday that are likely to delay the project significantly. First, Judge Kenny ruled that the state committee that approved the disbursement of bond money for the project acted without sufficient evidence to justify the disbursal. California law empowers the High-Speed Passenger Train Finance Committee to authorize the release of $8 billion of the bond funds that voters approved in 2008 for the project. The High Speed Rail Authority requested this authorization earlier this year to begin work on the project. But Judge Kenny ruled that the finance committee essentially acted as a rubberstamp for the request without justifying the decision with any evidence. So the committee will now have to reverse engineer its decision with evidence showing that the release of the bond funds is “necessary and desirable” per the language in the voter initiative. Given that the committee’s only justification for its authorization was the Authority’s request itself, it shouldn’t be difficult to come up with something to satisfy Judge Kenny. could result in substantial delays in the project, or even a need to redesign or relocate portions of the project, potentially at great cost to the State and its taxpayers. Streets and Highways Code section 2704.08 is carefully designed to prevent that from happening, but that design is frustrated if obvious deficiencies in the first funding plan are essentially ignored. It’s hard to argue with that logic, as CEQA was intended for exactly this purpose: to analyze the likely impacts of large public projects and mitigate negative impacts where feasible (the Authority did complete environmental review on the first construction phase but not on the whole project). But the political problem for the Authority is that 1) CEQA review could take years, thus jeopardizing federal funds which have a sunset date, and 2) the potential mitigation measures required by CEQA could involve route changes that could unravel the fragile political coalition the Authority assembled to support the project. For example, a route change to serve Los Angeles more directly through the Tehachapis could cost the project support from Los Angeles County supervisors if it involves skipping a city (Palmdale) that was promised a high speed rail station. The Authority will likely attempt an end-run around the CEQA requirements. The Authority and the California Attorney General’s office have argued the project may be entirely exempt from CEQA, due to federal preemption. If the Authority is successful with that line of argument, which it will likely pursue more aggressively in response to this decision, it would remove a significant and ongoing hurdle to project implementation (the project would still have to undertake environmental analysis through the less strict National Environmental Policy Act). So what’s next? The Authority could submit to Kenny’s directive and go back to the drawing board on the business plan and CEQA review, risking the viability of the entire project. Or it could appeal, citing the CEQA preemption argument or some flaw in Kenny’s decision. And regardless of either option, it could begin construction now using federal funds while the court process plays out, hoping that the advent of construction would put political pressure on the court to okay the project in the end. What’s certain though is that a project that was once slated for groundbreaking this summer is now on the slow track for the foreseeable future.